Conjunctivitis is commonly called as the pink eye. The major culprit of Conjunctivitis is the virus and the bacteria. The symptoms include irritation and inflammation in the eyes. This infection mainly affects the area between the outer membrane of the eyes and the inner layer of the eyelids.Sometimes there may be a swelling in the eyelids. The eye turns red in color and hence the name pink eye.There will be a large amount of discharge of water from the eyes. Some times the discharge may be thick and at times it may be watery. If the discharge is thick then the eye infection is caused by bacteria on the other hand if the discharge is watery then the eye infection is caused by virus.There may be an unbearable irritation in the eye followed by the pain in the eye. Conjunctivitis easily spreads from one eye to another eye. 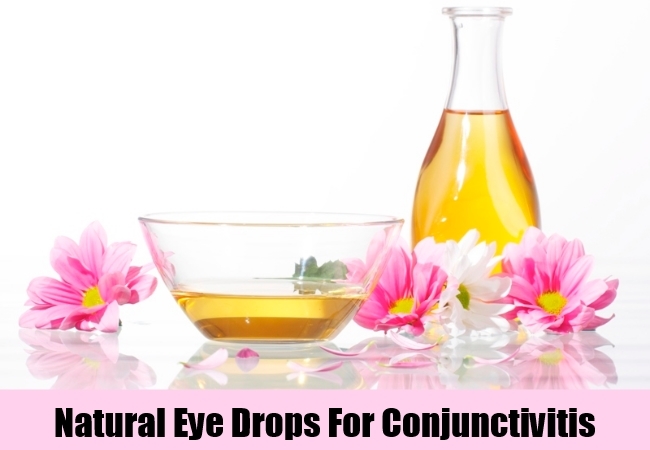 Its capable of easily transmittable from one person to another when the infected person comes in contact with you.There are many effective home remedies for Conjunctivitis. Conjunctivitis should be treated as early as possible in order to avoid any complications. Castrol oil, honey and Colloidal silver are used as the natural eye drops to cure pink eyes. The castrol oil have a very good cooling property thus when applied as the eye drops is a very good remedy for pink eye. Colloidal silver is available in the form of a spray and can be applied in the eyes for two times a day and you will get a good relief from pink eyes within six hours.Honey can also be used as eye drops to get rid of bacterial infections. It is highly recommended that you keep your eyes clean. Clean the eyes with the cotton swabs dipped in warm water. There are a number of solutions available for cleaning your eyes. You can also add boric acid to warm water and allow it to cool and apply it twice or thrice daily. Baking soda can also be added with water and used as a cleaning solution.Do not rub your eyes with the hands as hands are the good conductors of germs. Tea bags are easily available at home. Place the tea bags in the eyes for 10 to 15 minutes.The Bioflavonoids present in the tea is good for pink eye treatment. The tannic acid composed in green tea and black tea highly reduces the irritation caused by the pink eye infection. Calcarea carbonicum is very effective in curing conjunctivitis or pink eye problems. Experts suggest that aroma oil is very effective in fighting the infection caused in the eye.Use aroma oil in the form of drops twice or thrice daily to cure conjunctivitis or pink eye. This is a natural home remedy for pink eye problems.I request you try out these simple home remedies to relieve fro conjunctivitis or pink eye problems. If the irritation persists for more than three days it is highly recommended that you consult your doctor.